I’ve been seeing the term “performance marketing” or “performance advertising” floating around a lot the last few months. It’s not a new concept or a new term, and I don’t even think it’s trending especially hard right now. It’s simply a case of the Baader-Meinhof Phenomenon; when a term comes to your attention and it’s new to you, you then start to notice it everywhere. It’s not new, but it had never captured my attention before, and now I’m noticing it around. So I decided to do some investigating. As with most new terminology, the first step when looking into it is the basic definition article. So what is performance advertising? 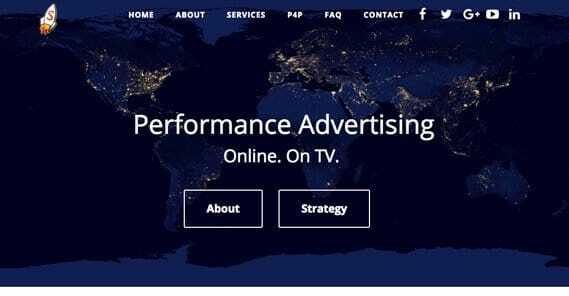 Well, it’s also known as pay-for-performance advertising, and it’s a form of advertising wherein the advertiser pays only when there are measurable results for their advertising campaign. Let’s take two examples of advertising. The first is a television commercial. With a TV commercial, you pay for a time slot. You produce your commercial and you run it in your time slot, as often as the network you paid allows. That’s it! Some people may become more aware of your brand because of it, but you have very little way of determining who discovered you and when. It’s notoriously hard to track offline conversions compared to online, where you have access to so much more data. For the second example, consider Facebook ads. 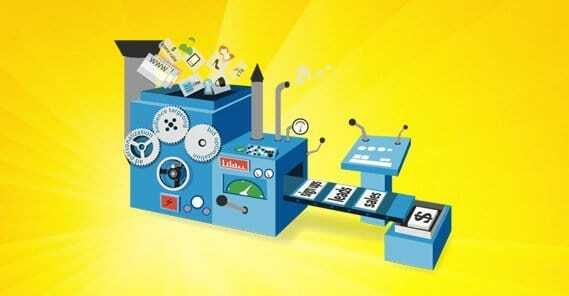 The standard model of, say, clicks to your website, lets you run ads essentially for free. If people see the ad but don’t click it, you don’t pay a cent. If they see an ad and click it, you pay for the click. See the difference? The first is the old form of advertising, broad spectrum marketing that reaches as many people as possible in a relatively untargeted way. You can’t exactly choose to have your TV commercial only show to only people within a certain demographic group. The best you can do is only put it on networks most likely to be watched by your demographics. Advertising on only BET or Telemundo or Showtime will have different connotations and different audiences. On Facebook, and in many other forms of online advertising, you get more targeting and as such can pay for performance. CPM, or cost per mille, the pay for performance model where the action performed is a view to the ad. It would be like paying for a TV commercial but only paying for the number of people actually tuned in. CPC, or cost per click, the pay for performance model where the action performed is a click on the ad, a click through to your website. By far the most common form of advertising online. CPA, or cost per action, the pay for performance model where the action performed is variable depending on what you want to track. It could be submitting a form with an email, it could be connecting to live chat, it could be calling a sales number, or it could be purchasing a product. CPL, or cost per lead, the pay for performance model where the action performed is the generation of a lead. This is generally a user on a landing page filling out a form with their contact information, though it can come in a few other forms as well. Since we’re discussing buying leads, CPL is what we’re primarily discussing, though it could be considered a subset of CPA. Performance advertising companies are interesting to me, because they’re one of the oldest forms of marketing agencies in existence. They’re also dying out, because the old business model is being undercut by more modern techniques. A performance marketing agency is the sort of company that offers performance-based advertising, but only to companies within a certain industry or with certain metrics. They build themselves an audience, a sort of custom advertising network, all based around fans of a given type of content. A hypothetical performance company might be, say, Performance Sports Marketing. They build an audience of sports fans through various means, and they work exclusively with sports companies to sell sporting goods, event tickets, or what have you. The problem with this sort of model is that it’s based entirely on narrow channels, in tall vertical silos, without the flexibility of modern performance marketing. Many of these networks are even dying out, their customers moving to more available options like Facebook or Google advertising, or they’re being acquired and rolled into the networks of those companies. Those agencies that continue to operate today have tended to go the other way; adopting advertising methods like Facebook ads as part of their own methodology. As such, when you contract such an agency to purchase leads, you’re essentially just having your advertising campaign managed by them instead of doing it yourself. For one real live example, consider Skyworks. They pitch themselves as a pay for performance advertising agency, and they tell you about the service. They create stories to generate leads, with two business models. One where they do all of the work for free and skim a percentage off of your sales, and one where you pay some up front and they take a lower percentage of your sales. Both lead to variable costs per lead depending on how effective the agency is at promoting you. They also are restrictive with who they allow into their program. They only seek partnerships with businesses that “possess specific and unique qualities.” They’re looking for high profit margins – more for them per sale – and other qualities. They want products they can upsell, they want products they can market nationally or globally, they want fast growth, and they want a brand with personality they can leverage for their marketing. Let me put things in a slightly different light. Look at it from another angle. Say you’re a company like Skyworks, looking to get your foot in the industry. Your business model is to sell products you don’t produce, on behalf of other companies. You find these companies and you strike a deal; for a cut of the profit, you will happily advertise their products on your website, producing content and even buying ads if the case warrants it. The only difference between your company starting out and Skyworks is that Skyworks has been at it a long time and has managed to set themselves up as exclusive. You have to approach companies, they can wait for companies to approach them. Aside from that, it sounds really familiar, doesn’t it? It should. The concept you’re looking for is Affiliate Marketing. As a brand looking to buy leads, you’re looking for companies that offer an affiliate program or a pay for performance lead generation platform. It’s all the same thing, really; you’re just trying to buy leads, without spending an exorbitant amount of money on failed leads. There are three ways to go about this. One is by seeking out individual companies that offer the service. Skyworks is one, as are companies like LeadPoint and Aerserv. The second method is to contract with affiliate networks, who promote your offer to their crowds of affiliate marketers. 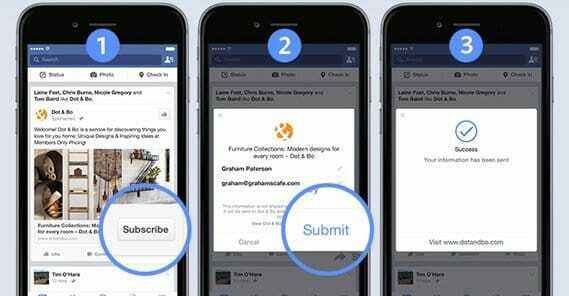 The third is to go through an advertising network directly, like Facebook with their Lead Ads. Each method has its ups and downs. Contracting individual companies like Skyworks has the potential to get you a lot of leads very quickly. The companies in question have a lot of practice doing what they do, and they tend to be picky with who they work with, because they want to guarantee the best performance possible. So, while you’re looking at high returns, you also encounter two problems. Problem one is that they’re exclusive, so you might approach a dozen of these companies before you find one willing to work with you. Problem two is that they charge a lot. 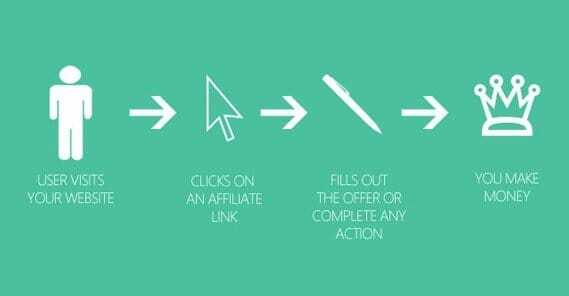 With a typical affiliate offer through a network, you might be paying 50 cents or $1 per lead. With a company like Skyworks, you’re looking at 30% of the sales you make. That’s a very significant chunk of change. With the network option, you can pull in a massive number of leads, but they aren’t necessarily all going to be qualified leads. Your costs will be low as a consequence, because you’re still paying for leads, not successful sales. 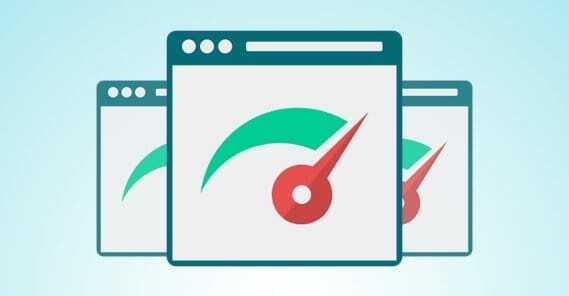 The downside is that your affiliate link will be showing up on sites all over the web, of a wide variety of quality levels, and mixed in with all sorts of other products. You have very little control over where it’s posted, up to and including on sites that would otherwise look like spam. It can give you a bit of a bad reputation. The third option, lead ads through sites and networks like Facebook, have the benefits and drawbacks of regular Facebook ads. They work, and work well, as long as you know who to target and how to reach them. It’s all self-serve, so you have no one to blame but yourself if they don’t work for you. You also need to have an active Facebook account for the best results, which can take a lot of initial investment. Of course, nothing stops you from using two or even all three of the methods, so long as you’re maintaining good tracking to make sure you know which sales come from which sources so you’re paying the right people the right amounts of money. There’s also one more option on top of all of these, which is a sort of combination of all three. Basically, what you would be doing is hiring an advertising manager to handle everything for you. They’re the ones that deal with Facebook ads, with affiliate networks, and with other advertising agencies. They sort of take the same role as Skyworks in this scenario, doing the advertising for you, but they often ask for a salary or a defined pay structure rather than just a cut of the sales. That depends on whether or not they’re an employee or contractor as opposed to an agency. Agencies work with numerous clients and can keep a steady flow of income with performance commissions. Contractors need payment up front to do their job. You might think that a commission-based structure is ideal, then, because it incentivizes your agency to work as hard as they can to get you as many sales as possible. The more you sell, the more they make. A contractor or employee making a fixed amount doesn’t have the same incentive to improve. While true, that doesn’t mean the agency is going out of their way to optimize for you, nor does it mean the individual you hire will slack. The number one thing to remember, completely disregarding the source of your leads, is that they’re still just leads. It’s up to you to work out who these people are and what convinced them to become leads. You need to figure out how to convert those leads into customers. You’re still paying for leads through these performance advertising methods, but if those leads don’t convert, you’re not making your money back or making a profit. This means setting up a sales funnel, tracking people as they progress through it, creating sub-objectives like building a mailing list and a subscriber base, and contacting people for follow-up pitches. It means upselling the people you do convert for more leeway with the leads that don’t go anywhere. It also will mean analyzing your lead sources and cutting out those that more often than not fail to deliver qualified leads. With all of that, you can successfully buy leads from an agency, a network, or a middleman. Will Buying Web Traffic Increase My Leads?